An interactive guide to help parents teach their kids about money. 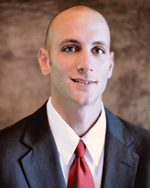 Hi, I'm Jake Brannen, a Farm Bureau Financial Services agent with locations in Newton, Bondurant, and Baxter, IA. I'm here to make insurance simple for you. I'm committed to helping you prepare for the future and protect what matters most. Let me help you through all stages of your life. For your insurance needs, call (641) 792-1140.